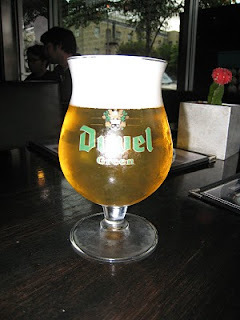 Duvel "Green" is very similar to normal Duvel. Both are bottle conditioned, but Green is cold filtered. 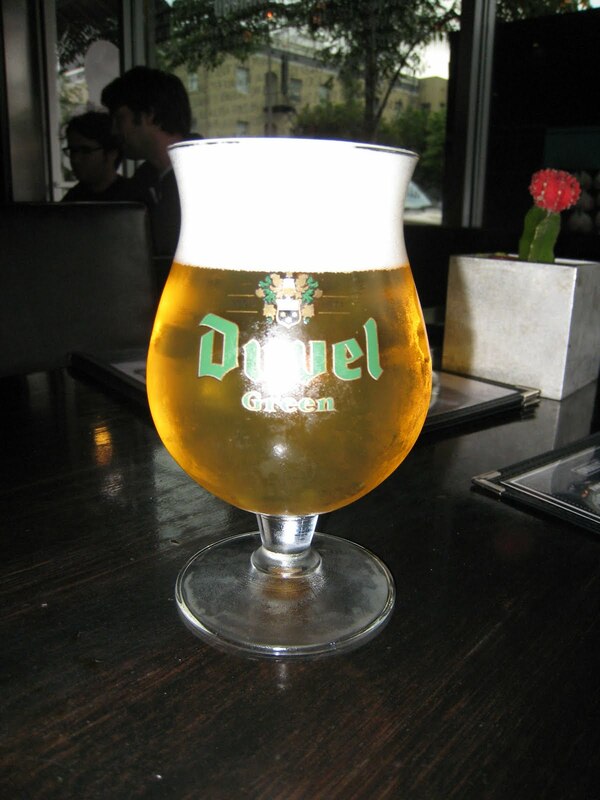 It's been a long time since I have had a normal Duvel, so I can't do a proper comparison. The color is a perfect piss golden color that you only see in the finest beers. It has a very strong bitterness that is not very complex. It is a bit sweet in the front of the mouth like a good ale. It's a good beer, but I don't think I will buy it again. It really is not that interesting.